There are 2 versions of this book. One book is for early learners. The other is for those students ready to learn sight words. 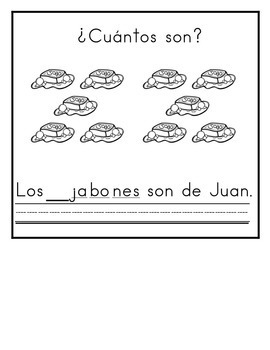 Student practices counting and writing basic sentences in Spanish.